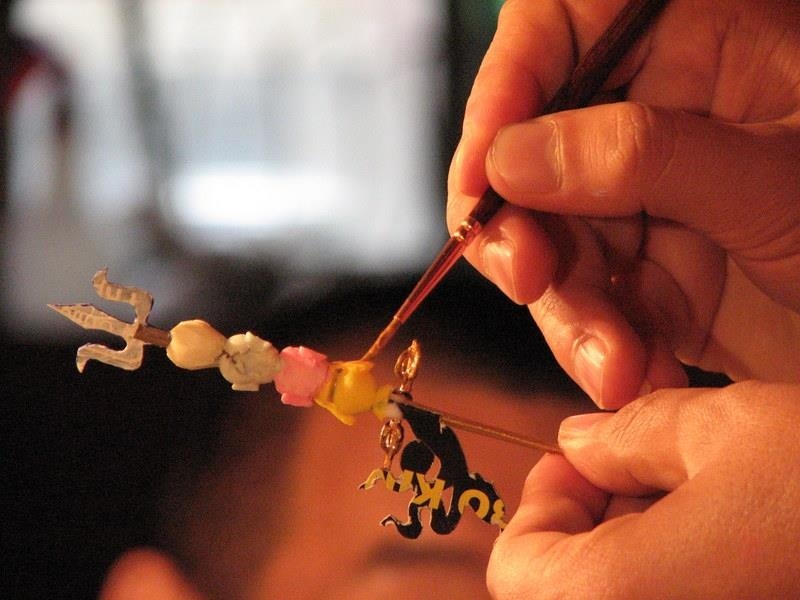 Karma Wangchuk paints flourishes on Tseringma’s staff for the 30th Kagyu Monlam. The torma artists are the unsung heroes of the Kagyu Monlam. Every year they labor long hours in relative obscurity, tucked away in a private space far removed from Tergar Monastery and the bustle of other pre-Monlam preparations and activities. This year there were 64 monks and nuns working from dawn to dusk on the butter sculptures and offering tormas (Tib. shalzes) for the 30th Kagyu Monlam. (cont.) Kagyu Monlam News –The great display of offerings : tormas of the 30th Kagyu Monlam.